Snooki, Jersey Shore star, has recently received a meaningful push present from her fiancé Jionni Lavalle – a stylish charm bracelet featuring seven Pandora beads, including the letter “L” for Lorenzo, their new born baby. Gone are the days when charm bracelets were simple silver chains featuring a single figure or two. Today, a charm bracelet can feature up to several dozens of expensive beads given on special occasions as memorable gifts. Yes, now it’s possible to find a meaningful bead for every milestone, be it your wedding, child birth or anniversary. Maybe that’s why celebs love them so much. Graduation gifts ideas are numerous so you can be really creative. From simple sterling silver star spacer beads to open work butterfly print beads to graduation cap drop beads, it’s possible to find a gift to suit any taste. Romantic bead styles are great for the occasion. A sterling silver and white mother of pearl heart ball bead is a perfect example of jewellery that speaks for itself. A gorgeous sterling silver chunky heart bead is a great addition to other beads on the bracelet of that special person. Showing off this telltale symbol of love can be a fun way to rock easy jewellery. If you’d rather choose something less literal, opt for elegant murano glass beads available in purple, red, green, blue, pink, etc. One more occasion to remind your significant other of your love. Select a sterling silver black onyx drop down heart charm just released as part of the autumn/fall collection. If it’s been years since you’re together, get a beautiful reminder of the number – sterling silver beads with engraved numbers are perfect for the occasion. When choosing beads for this joyful occasion, look through charming angel, baby pram, teddy bear and little boy beads or opt for alphabet beads to spell the name of the baby. According to Gem Design Jewellers from New York, it’s unusual for modern jewellers to produce custom designs creating unique pieces inside their stores. 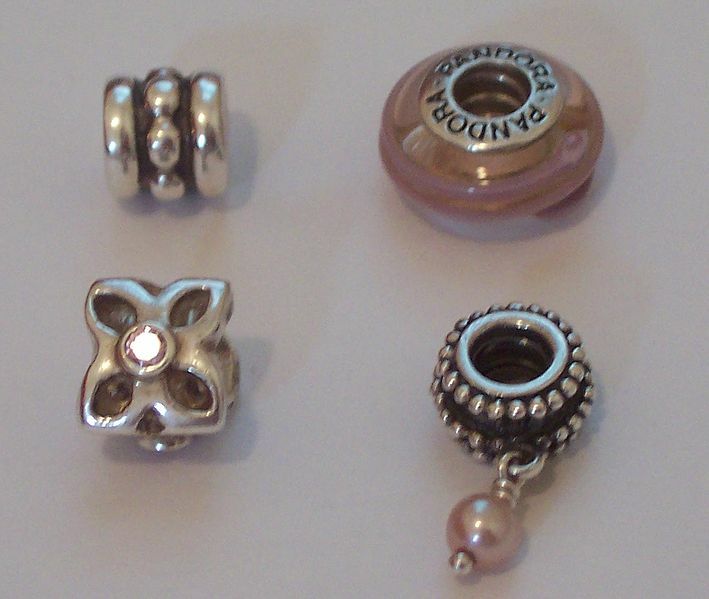 Even so, more and more customers prefer creating their own meaningful jewellery items by using beads. It’s all about the memories made together, after all.